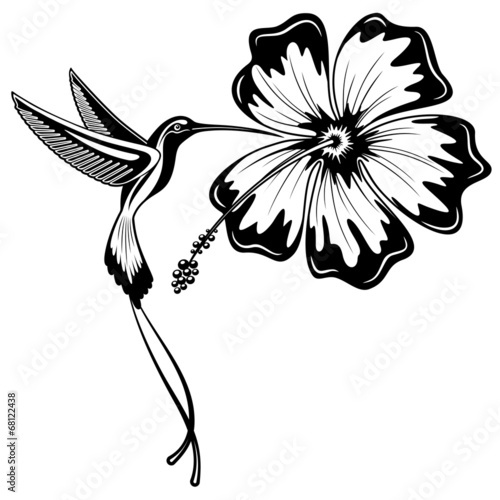 The hummingbird spirit animal symbolizes the enjoyment of life and lightness of being. 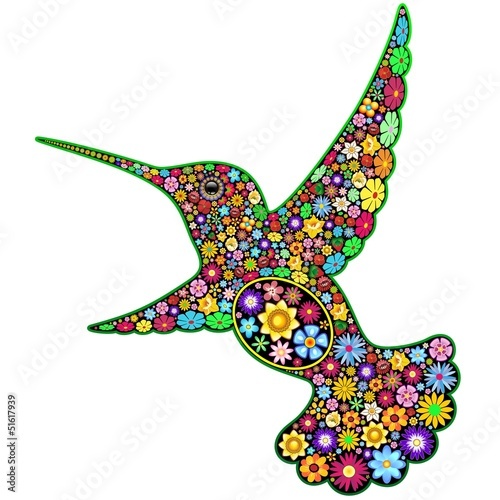 Those who have the hummingbird as a totem are invited to enjoy the sweetness of life, lift up negativity wherever it creeps in and express love more fully in their daily endeavors. This fascinating bird is capable of the most amazing feats despite its small size, such as traveling great distances or being able to fly backwards. 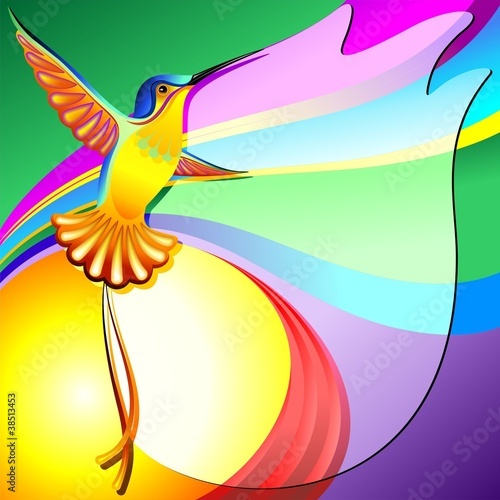 By affinity with the hummingbird, those who have this bird as totem may be encouraged to develop their adaptability and resiliency while keeping a playful and optimistic outlook. Resiliency, being able to travel great distances tirelessly. If the hummingbird shows up in your life as a spirit animal, it may remind you to enjoy life’s simple pleasures and take time to enjoy yourself. The hummingbird’s wisdom carries an invitation to take part in and draw to you life’s sweetness, like you would drink the nectar of your own flower. The call of the hummingbird totem will guide you to open up to love and lightness in your emotional life. When you see your totem, you are encouraged to open up your heart and expose yourself more to joy and love. It might be time to show how you feel to loved ones or people who are close to you. The hummingbird is one of the most fascinating birds because of its ability to move its body swiftly, change direction quickly and smoothly, seemingly gliding from one place to another. By affinity with this power animal, you can be encouraged to use or develop a similar skill. When the hummingbird shows up in your life, it may be an invitation to flex you path, perhaps even bending backward or forward, in order to accommodate life’s circumstances. You may be required to adapt to a situation that is a bit more demanding than usual. The wisdom carried by this spirit animal emphasizes flexibility and lightness in your approach to the unexpected. 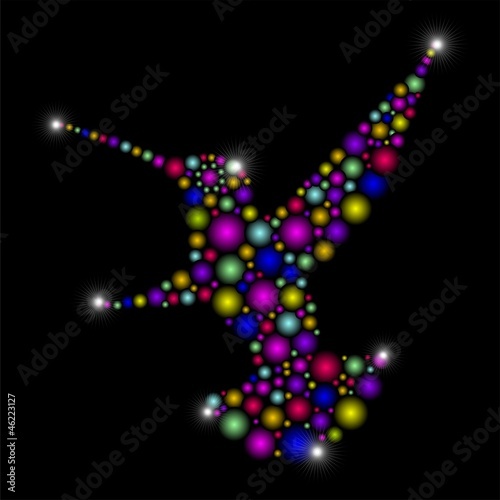 By association with the hummingbird power animal, you may have already developed a strong adaptability and are typically quick to respond to any demand. You may also have a high sensibility and feel every nuances of emotions or movement in your environment. Brought to the extreme, this ability may lead you to emotional instability as you shift rapidly from one feeling or mood to another without warning. The hummingbird totem wisdom could challenge you to figure out how to stand strong while being able to move quickly and fly high, whether it’s through your personal or spiritual aspirations. The spirit of the hummingbird is a powerful mean to lighten up your mood when you feel down. This power animal is a useful ally to lift you up and instill more joy and playfulness in your daily grind. 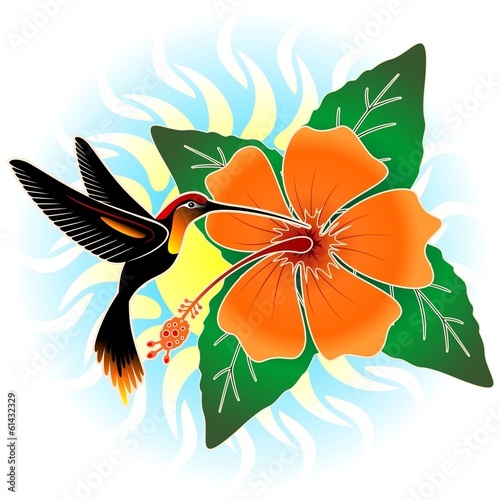 When facing challenges or an environment plagued by negativity, call on the hummingbird to help you bring a positive outlook on the situation and find your way out with optimism. Don’t be deceived by the size of this spirit animal: Even if the hummingbird is one of the smallest birds, it can travel great distances. Those who have that bird as totem are characterized by their resiliency and their ability to run great distances tirelessly. Inspired by this totem, you will be inclined to accomplish what seems impossible to most while keeping it light and enjoyable. This entry was posted in Illustrations / Designs Copyright © BluedarkArt, shopping and tagged animal, animal symbol, animal symbolism, art prints by bluedarkart, beauty, bird, bluedarkart designer, bluedarkart photography, designs by bluedarkart, Elena Harris editor, exotic animal, exotic bird, flight, floral, grabyourdesign shop, graphic art, graphics by bluedarkart, hibiscus, hummingbird, hummingbird spirit animal, hummingbird totem, joy, nature, photo by bluedarkart, positive, society6 shop, spirit, spiritual animal, symbolism, totem, vector graphics, wild bird, wildlife. Bookmark the permalink. So many gorgeous humming birds and wonderful messages! A must share!